Comments: Flower color determined by pH of soil. In acid soil they are blue, in alkaline soil they are pink and may be mauve when soil approaches neutral. 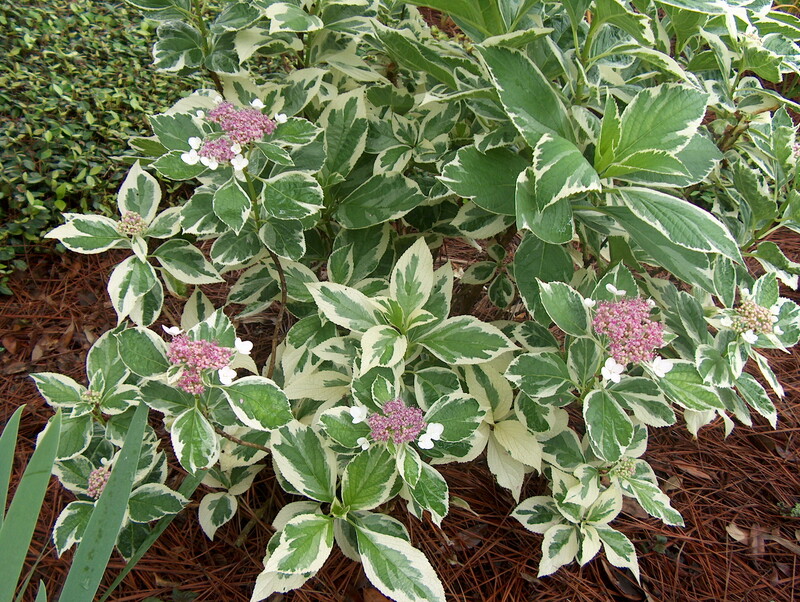 The variegated foliage is a plus for this selection.